Hours in front of a computer screen may increase the risk of glaucoma in people who are myopic or short-sighted, Japanese scientists report. Glaucoma, which is caused by damage to the optic nerve, results in blind spots or visual impairments that can rob people of their sight. Smoking and high blood pressure are potential risk factors but Japanese researchers believe excessive computer use may also play a role in short-sighted people. "Myopic workers with a history of long-term computer using might have an increased risk of visual field abnormalities, possibly related to glaucoma," Dr Masayuki Tatemichi, of the Toho University School of Medicine in Tokyo, said in a report in the British Journal of Ophthalmology. The researchers studied about 10,000 workers in Japan who were chosen for testing as part of a routine medical check-up. They also completed a questionnaire about how much time they spent using a computer and any eye problems. The average age of the participants was 43. About 5 percent of the workers in the study had visual field problems. 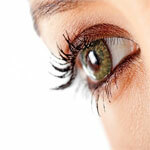 A further test revealed about a third of them had suspected glaucoma. The scientists said there appeared to be a link between glaucoma and heavy computer use in the short-sighted. They believe the optic nerve in short-sighted people may be more vulnerable to computer stress than in normal eyes. "Computer stress is reaching higher levels than have ever been experienced before. In the next decade, therefore, it might be important for public health professionals to show more concern about myopia and visual field abnormalities in heavy computer users," the scientists added.